In a new space like CBD, current and potential customers desire content to educate themselves and require brands to be transparent with them. Recognizing this, CBDistillery is one of the first brands to put QR codes on labels that link back to the batch testing results for that specific product to ensure customers can trust us a brand. Additionally, as we work to create a CBD movement and disassociate with the marijuana industry, we aim to have our website serve as a “one stop shop” for consumers interested in and wanting to learn more about CBD — including resources, educational blog posts and product purchasing. As we generate strong educational content, we are one of the first CBD brands to really concentrate on SEO as we are unable to market on Google Ad Words or Facebook. We want everyone to understand what they are buying and to help us dispel any confusion behind CBD and the industry. 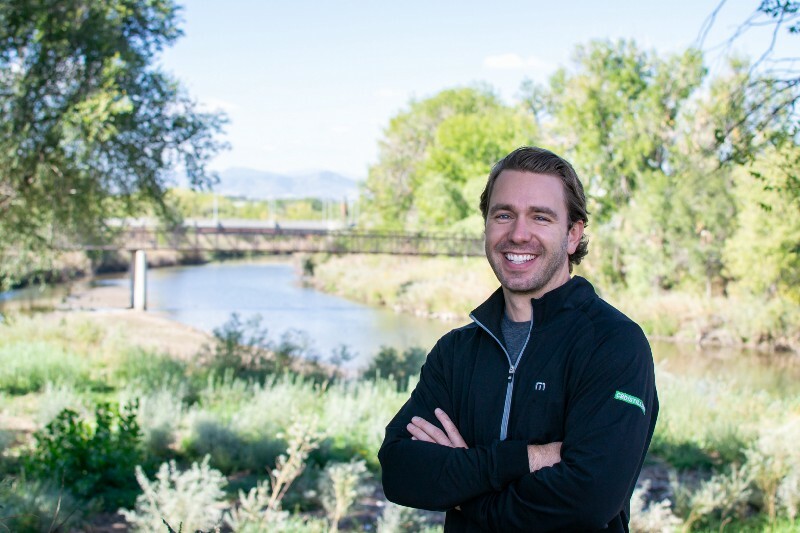 Chase Terwilliger is the CEO of Balanced Health Botanicals in Denver, CO. Established in 2015, Balanced Health Botanicals owns and operates some of the largest manufacturing operations and brands, including CBDistillery, in the hemp-derived CBD market. After graduating with an MBA from the W.P. Carey School of Business at Arizona State University and leading a business development team with a technology startup, Silvernest, Chase sought out an opportunity to become the CEO of an organization that he was confident would change the world. Since leading BHB, the team has grown from four employees to 50+, increased product SKUs from one to over 800, and reported consolidated third-quarter revenue of $16.4 million, a 763% growth YoY. Chase’s goal is to continue the growth of the vertically integrated house of brands, becoming the largest supplier of hemp-derived CBD in the world. Can you share with us the story about what brought you to this specific career path? Prior to CBDistillery, I was part of the founding team at a technology company, worked in healthcare and had experience with executive management — all different (but in some ways similar) industries that gave me skills and knowledge that play a part in my current role. I first became familiar with CBD when some friends of mine, Andy Papilion, Chuck McKenney and Lincoln Sorenson, started an online CBD company, now known as CBDistillery, a Balanced Health Botanicals brand. Given our friendship, my experience in healthcare, and overall interest in the growing industry of CBD, in my free time I found myself helping the team with SEO, SEM, marketing strategy and managing the website. In a matter of weeks, the CBDistillery website traffic had increased by a significant amount and the business was taking off. Given the success and my experience in both healthcare and executive management and of course how invested I was in the success of the brand, when CBDistillery offered me a chance to be CEO of the company, it was easy to say yes. I took a risk, left my current job for a business and industry that the DEA classified as illegal at the time, and jumped right into my new role. This risk turned out to be one of the best decisions I have ever made as CBDistillery is now a leading player in the space, legislation is leading in the right direction and the industry overall is projected to have exponential growth. During my tenure with CBDistillery there have been many interesting situations which of course, led to great stories. Upon start up, the CBD industry was very much unknown to consumers, lawmakers, commerce professionals, etc., no one was really quite sure where CBD fit in — was it part of the healthcare space, was it a supplement? Due to this grey area surrounding CBD and what it is, we were grouped in the marijuana industry. As you can imagine, each industry, business, company, etc. has their “bad apples” and unfortunately, a lot of our business dealings at the start were with those people. Because our business niche was still an ‘unknown’ territory, outside resources we weary of doing business with a CBD company and I found many of professionals to be less than transparent and not as trustworthy as other business men and women I had worked with in the past. We had many hurdles with these businesspeople and it became very difficult to find good partners. Looking back, there is one situation in particular that stands out. We began a partnership with a merchant processing group — of which, we thought we were lucky since many were unwilling to work with CBD companies at the time — who made significate promises. Of course, we enlisted our expert security team to run checks before any official business took place, and everything checked out. After a month, the real inner workings of their business began to show. From missing payments and excuses as to why — including needing signatures from POTUS! — to them threatening me personally and CBDistillery as a company, we ultimately decided to end the partnership. We took this as a great learning experience, and actually, the situation is quite amusing that they assumed that they were dealing with a company and executives that would allow them to get away with such unprofessional behavior and business dealings — that they must have gotten away with before! The CBD industry and the people/businesses that are involved are much different now. We are beyond grateful for the 2018 Farm Bill, which brought a sense of empowerment and legitimacy to the space, allowing us to work with partners that are trustworthy and forthcoming with information. A mistake is truly a learning experience and for that, I am grateful. When we were starting out, we couldn’t keep up with the supply and demand process — we were in need of partners to help us keep up. Given the newness of the space, we ran into a similar situation as noted above — untrustworthy people and business dealings. One in particular claimed to have 100kgs of CBD isolate in a warehouse in California (isolate is the pure form of CBD and is used as the active ingredient in all our products, the value of 100kgs of CBD isolate at the time was around $1,000,000), we then sent someone from our team out there, and there was nothing. This happened multiple times, so we decided to put these people through a little test of our own. Our team went out and bought a few hundred dollars worth of flour (which looks very similar to isolate from afar), we packed it in bags and took a picture of it and sent it to an isolate “lab” and said we had 100kgs for sale at our warehouse. Within an hour we had emails and texts from tons of people in the industry saying that THEY had 100kgs of isolate in their possession. It was hilarious! What’s the lesson? You can’t trust and take everyone at face value. Do your research and trust your gut. It may take more time, but eventually you’ll find honest and trustworthy people that have your business goals top of mind and are on your side. We have some very exciting projects in the pipeline! One that I am most excited for is the launch of CBDistilleryRX. Building upon the incredible success of CBDistillery, Balanced Health Botanicals is introducing products formulated exclusively for distribution by medical professionals. This new line will consist of pharmacist-recommended hemp-derived CBD products that will be available in-store only at select pharmacies nationwide. That’s an easy one, my partners and team. I’m lucky enough to lead a wonderful and innovative company in an evolving industry, but most of the work is really done by my partners — Andy Papilion, Lincoln Sorenson, and Chuck McKenney — and our unbelievable team. We wouldn’t be where we are without them and could not get where we are going to be without every single person who works with CBDistillery. Everyone has a very unique set of skills and is so very passionate, that everything fits perfectly into place. This industry is young, dynamic and creative. Do you use any clever and innovative marketing strategies that you think large legacy companies should consider adopting? Can you share 3 things that most excite you about the CBD industry? Can you share 3 things that most concern you? 1. Standardized Testing: All legitimate companies work with 3rd party labs for product testing, however, from time to time we still see the results vary from lab to lab. The industry needs a standardized lab that can handle testing for the entire industry and hold all companies accountable to the same standards. 2. State-By-State Education: By the end of 2019 each state will need to implement a hemp program. Some states are very educated on hemp and hemp-derived CBD, others are not. In order to make the right decisions and properly implement a program, states need to be fully educated to ensure no mistakes are made, which in turn could block consumer access to hemp-derived CBD. 3. Marketing Claims– Since hemp-derived CBD is not a drug, companies can’t make medical claims. Some companies are marketing invalidated medical claims, which could lead to backlash for other companies that are following guidelines and tarnish the industry overall. Can you share your “5 Things I Wish Someone Told Me Before I Started Leading a CBD Business”? Please share a story or example for each. 1. It won’t be easy. The industry is projected to have exponential growth, with 2000+ companies working to bring product to market, work hard and trust your team. 2. Make education a priority. Educate yourself on FDA and FTC compliance guidelines. 3. Do research on your partners before jumping into business with anyone. 4. Your customers are your number one fans — provide them with top of the line customer service and educational content. 5. Much of the mass population doesn’t know or understand what CBD is. Be prepared with education tools to help decipher the difference between CBD and marijuana. Treat your employees as if they are a part of the big picture as well. Like their job is just as important as yours, because ultimately, each person has a role in the growth and success of a company. Employees should also always be shown your customer’s testimonials, allowing for them to directly see the impact their hard work is having. Showcasing and sharing direct feedback from customers will validate their work and inspire them even further. We are currently leading the #CBDMOVEMENT, which I’m obviously very passionate about. However, if CBD wasn’t the current movement I’m working to inspire, I would love to help lead a movement on affordable housing. Affordable housing in major cities is becoming worse year after year. The current market pushes people out of their homes, gobbles up most (if not all) of their income and leaves them susceptible to bankruptcy. Before CBDistillery I was on the founding team of Silvernest.com, with the main mission to aide in the affordable housing crisis.